When Apple announced that their new 7.9-inch tablet would be priced from $329, many people shook their heads in disbelief. Now, there is a clear answer as to why — the difference between the estimated iPad mini cost and its selling price is about 40 percent, which is on par with just about everything Cupertino makes. 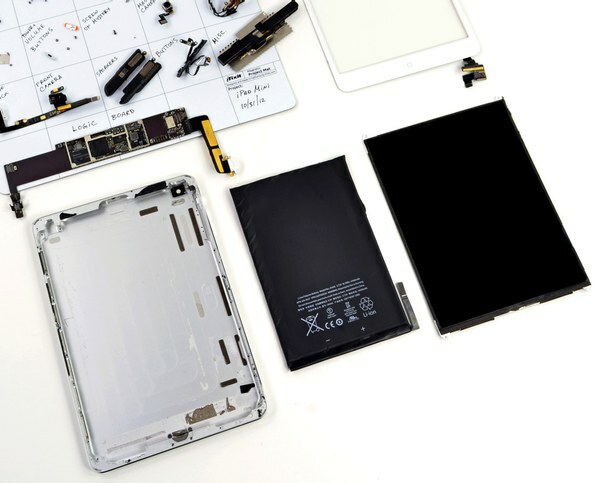 Quoting tear down and cost analysis from iHS iSuppli, All Things D reports the now shipping iPad mini costs $188 to make — the bill of materials (BoM) and assembly cost of Apple’s baseline wi-fi only model with 16GB of storage. iSuppli estimates that the 7.9-inch display assembly used in the iPad mini costs $80 or about 43 percent of the device’s total BoM. Further, it is believed that the 16GB in the base model sets Apple back $15.50, while the 32GB adds $31 and 64GB push the price up $62. As noted, Apple’s 32GB and 64GB iPad mini costs are only incrementally higher than the base model, though the profit on these “high-end” models is considerably more — an additional $90 and $162, respectively. Before the iPad mini’s launch and last Friday’s ship date, Tapscape published an estimate that the iPad mini costs $195 to make. Of course, these cost estimates don’t include R&D, prototyping, logistics, marketing and service costs, which of course are quite significant.